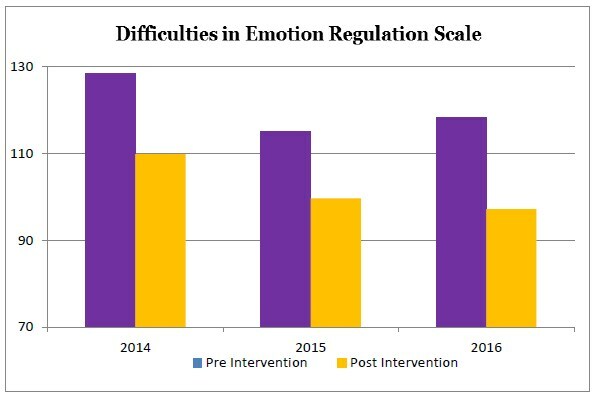 Significant gains were made on the Difficulties in Emotion Regulation Scale (DERS) from pre to post intervention. Participants experienced a decrease in difficulties regulating emotions moving from an average score of 118.3 (SD = 18.87) on the DERS pre to 97.17 (SD = 24.0) post completion of the programme, t (22) = 5.07, p < .001. 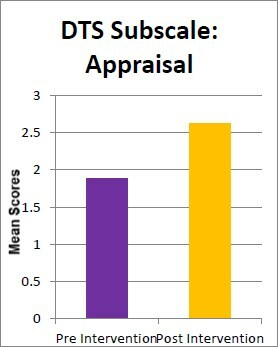 This change represented a large effect size (Cohen’s d = 1.05). See graph below for visual representation. Participants also experienced a significant increase in distress tolerance moving from a mean total score of 1.69 (SD = .71) before the programme on the DTS to 2.31 (SD = .87) after completing the programme, z = 3.153, p < .01, representing a medium effect size (r = .44). 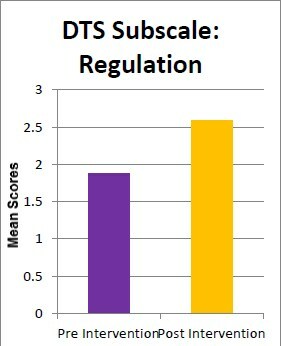 The DTS comprises of 4 subscales assessing tolerance, absorption, appraisal and regulation. There were statistically significant differences identified between pre and post intervention on the absorption, appraisal and regulation subscales. 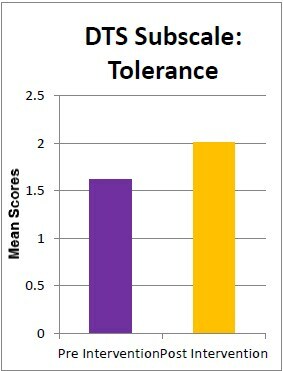 There was a change in the intended direction on the tolerance subscale; however this change was not statistically significant. These results indicate that participants’ distress tolerance increased post-programme as expected. 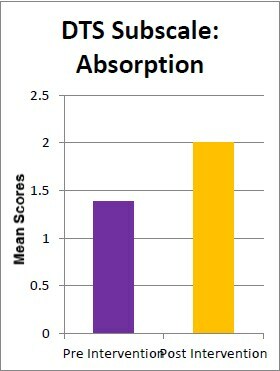 The differences between pre and post intervention subscale scores are represented in the graphs below. 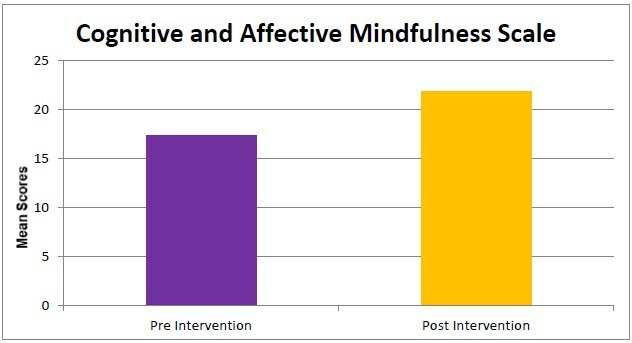 Participants also had greater mindful qualities post intervention moving from a mean score of 17.3 (SD = 3.86) before the programme on the CAMS-R to 21.8 (SD = 4.08) after completing the programme, z = 4.27, p < .001, representing a large effect size (r= .55).